A long time ago, in a man cave far, far away…do you remember how you gathered with friends to draft fantasy teams for football, baseball, basketball, and even hockey leagues? The draft could take four to five hours (and four to five beers), and someone had to keep a spreadsheet of all players selected and then input those players into a computer program. Then the internet came along, and the draft party was no longer necessary. Your waistline would surely thank you, and there was no longer the tedious job of keeping track of players. Websites such as Yahoo, ESPN, and CBS Sportsline set everything up. You need only show up virtually, click a few buttons, and within an hour or two the draft was complete and your team ready for play. You thought nothing could be better. But you were wrong. The next evolution in fantasy sports was just around the corner, and it’s here now! The downside to fantasy leagues with your friends is they take place over many months, and the payout only comes at the end if your team is among the winners. Put in $50 in March, say, for a baseball league, and you might get a payout in October. Enter weekly and daily fantasy leagues on websites such as Draft Kings and Fan Duel –and others—and you can win real money in several days or even hours. In this article I will compare Fan Duel and Draft Kings because those are the two sites I’ve used, and, to my knowledge, they are the largest (the Coke and the Pepsi of this sector, as it were), but there are certainly others. I first heard about Fan Duel (www.FanDuel.com) in 2012 via an ad that ran on the Boston sports radio station WEEI. I had all the usual questions. Is this for real? Is this legal? Where the hell do I sign up? Like most rotisserie sports contests, athletes are assigned dollar amounts and you pick a lineup that remains under a set total. Points are assigned in different categories based on players’ performances in actual sports contests, and the winner of any given contest is the competitor whose fantasy lineup achieves the highest score (though in multiple player leagues there are prizes for second, third, and so on). With Fan Duel, I tried my hand at pro football and pro basketball, and even a little MLB. I tried a NHL contest exactly once and realized I didn’t know enough (or cared enough) to try again. Fan Duel also offers competitions in college football and basketball, though I never tried either. Competitors can play for free or risk as little as $1. When I first started on Fan Duel, the highest amount any player could bet on a single contest was $535, though as of 2015 the limits seem to be as high as $10,000. Contests can be had against one player (head to head) or in leagues of 3,5, 10, 50, 100, and up into the thousands. You can risk $1 in a 1,000-player league and possibly win $300, though you have to beat a substantial amount of players to get the top prize. Or you can try a 50-50 league, where half of all entrants win something. There are myriad combinations and options, and I’m not sure which contests give you the best odds. After a year or so with Fan Duel, I became aware of another fantasy sports site: Draft Kings (www.DraftKings.com). Draft Kings is Boston-based (Fan Duel out of NYC), so the choice was easy for this humble Beantown correspondent. More than regional affinity, Draft Kings seemed to have more flexibility and better options than Fan Duel. In a Fan Duel contest, if you are playing a NBA match, say, and the first game of that evening starts at 7pm, your team is locked at 7pm sharp. On Draft Kings, only the players in a 7pm game are locked at 7pm, and you are free to make substitutions (still having to say under the original salary cap) up until the start times for players in any other games you might have on your team that evening. This feature might favor the more serious player, who can monitor his or her team throughout the evening and make last minute switches if need be. With Fan Duel, your team is locked when the first game starts and you sit back and relax. I’m unsure why Fan Duel has not modified their site yet to match Draft Kings in this regard, but as of the present they have not. 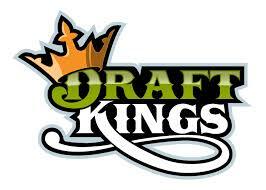 The other way which Draft Kings seems to offer a bit more is in the variety of contests. Currently, on Fan Duel, you can play NBA, NHL, NFL, MLB, and college basketball and football. Draft Kings boasts contests in all of these areas, but also offers games in professional soccer, professional golf, and even MMA (mixed martial arts). The business model for both sites is at once simple and brilliant. Be it Draft Kings or Fan Duel, each site takes 10% of every contest. So if I enter a head to head match for $2, both myself and another competitor put in $2 and the winner gets $3.60. The website keeps the 10% or .40 cents from our entries. This may seem small, but with thousands of contests running daily those pennies must add up pretty quickly. From an entrepreneurial perspective, both these organizations are marvels and stars in the VC world. They tap into the immense thirst for fantasy sports, and what’s more, they bring what is technically illegal gambling among friends (does anyone report fantasy earnings in an office pool?) into the full light of day. This is a multi-billion dollar sector of the economy, and Fan Duel and Draft Kings are monetizing it smartly—and to much acclaim in the press. From a tech standpoint –and I am by no means a gadget head—the programming to keep these sites running smoothly must be immense. The amount of algorithms it takes to keep up with all the scoring, entries, payments, and other technical issues must take mucho bandwidth and a staff of high intelligence. I don’t use either site’s mobile version all that much, but when I do there seem to be very few glitches. Both outfits have received considerable venture capital support, but I don’t know if either is profitable. However, it is not hard to see how they can become so, as compared to other ventures where revenue is advertising or subscription dependent. In addition, both Fan Duel and Draft Kings already have established major partnerships. Fan Duel has hooked up with the NBA and Draft Kings with the NHL. Both sites also seem to be putting together deals with individual sports franchises. Draft Kings has turned to our own New England Patriots to strike an accord, though I’m not sure what the terms of the deal are. Whatever the points of the partnerships, this does raise some conflict of interest issues. I’m not suggesting anything untoward, but if millions of players are committing money to contests, the outcomes of which depend upon player performance you could see where linking with a team that employs those same athletes opens up some kind of gray area. Where does a team or league allegiance begin and end vis a vis its fans and customers and the business of fantasy sports? Could there be unknown or unforeseen pressures that build between fielding a winning team and promoting a business where a winning team matters little (as long as individual players score highly for their fantasy managers)? None of these ‘known unknowns’ seem to have manifested themselves yet, but that does not mean they can’t or won’t. The marketing of Fan Duel and Draft Kings are also cutting edge, and they know their audience. On sports radio and cable sports networks (as well as sports stadiums), their ads are ubiquitous. They tout players who have won million dollar payouts and trips to Vegas and other hot spots for fantasy sports weekends. These ads can be a bit misleading. Oftentimes, you will hear a spot that trumpets the fantasy player who won $200,000 playing Fan Duel or Draft Kings last year. Of course, they can’t fraudulently claim someone is earning this much, but they don’t tell you how much that player might be losing. If he won $200,000 but lost $200,001, then has he really won? This begs the question: who is playing on these sites? I would call myself a casual player. I win a few bucks, lose a few, and if it makes the games more interesting I’m a happy man. But there are some players on one and both sites who are clearly trying to make serious bank. If you are on either site long enough, certain player names become familiar quickly. They enter just about every contest offered and are playing for big money. God bless them if they do well, but there are perhaps some moral implications at work. Both Fan Duel and Draft Kings have lengthy legal statements embedded into their sites which stipulate all contests are games of skill, which means playing fantasy sports with them for money is not gambling. I also surmise they protect themselves by deeming their business a “service” and not facilitating a bet. It is merely a contest between two players, and the fantasy site is helping to set that up while only taking a percentage of the money put up as a service fee. It will be interesting to see if this is tested legally in the near future, but so far it seems Fan Duel and Draft Kings are on safe ground. Aside from the legalities, there is the moral angle. It’s not wagering or casino gambling, but in theory it makes it easier for an addictive gambler to bet. Some years back, the US government made efforts to stamp out offshore internet betting and online poker (and not to a great deal of success), but I’m not sure I see a difference here. Playing for money is as easy as signing up for the site and depositing money in your account. A few clicks and your PayPal account is debited or your credit card charged. Is there truly a distinction between this and calling your bookie to place a bet on a sports contest? Legally yes but in practice not really I think. This is not an attempt to knock Fan Duel or Draft Kings. Neither organization is run by shady bookmakers out of a back room off a dank alley. Both businesses have modern corporate structures, social media departments, and top notch customer service. The few times I had a question or problem with each site, the matters were cleared up quickly and pleasantly. This is not to say there aren’t a few misleading aspects about both services. Besides the ads touting players who win oodles of money, I once fell for an ad that said if you deposit X amount of money, the site will match that amount in a credit on your account. I put in a low amount only to find the matching came in small percentages, which you had to earn by playing so many contests. Sucker!  Online fantasy sports websites have developed quickly in the last five years. If you had told me in 2010, they’d be this big in 2015 I’d have looked strangely at you. Is this it, or is there another iteration around the corner? Are Fan Duel and Draft Kings destined for My Space territory when other competitors arise? I’ve heard discussions about websites that go beyond just setting a lineup for any given week or night. Apparently –though I’ve yet to try them—there are games where you can manage an entire franchise. That is, you do more than put together a lineup of players for the court or field: you also have to manage your team during the off-season and deal with the business issues that accompany any professional sports team. Sort of a Farmville for a fantasy sports franchise. Whatever the future holds, at the moment it appears Draft Kings and Fan Duel are the Coke and Pepsi, the McDonalds and Burger King (both respectively) in the field and no one is poised to displace them. Different people will find things about one site preferable to the other, but whatever your choice it can make long winter nights and languid summer days –for that matter, any time of the sports year—a little more interesting, and if you are lucky and savvy enough you can pick up some cash. 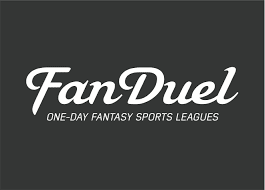 It will be interesting to see what happens in the years to come in the Fantasy Wars, but at the moment ‘the force’ is surely with Fan Duel and Draft Kings.